Special Bulk Offer Sale on Assorted Arcade Cabinets! Special Bulk Offer Sale on Assorted SEGA Arcade Cabinets! Arcade Games Sales currently has a special Bulk Offer Sale on now! The bulk offer is for 38 assorted SEGA cabinets with game boards. 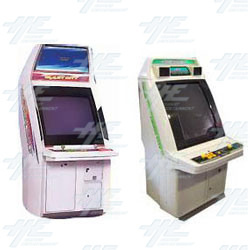 The owner of these machines is doing a massive upgrade and needs all 38 cabinets sold as soon as possible. These cabinets are all sold in as-is, working condition. This offer is for 38 complete machine, ex arcade condition, sold in as-is condition on a clearance sale basis. Machines are 110volts and available for immediate loading.You will save literally thousands of dollars with this bulk offer! To view this offer, follow this link.